Hello all! Posting from Wheaton, IL. 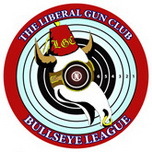 Looking to find other liberal folks to shoot with around here, maybe visit Buffalo in Ottawa. All my outdoorsy friends moved to CO. I work In the healthcare field, early 30s, worked on the Bernie Campaign. Shoot at Naperville Sportsmans Park and Shoot Point Blank in Naperville. Guns: Ruger GSR 308, Ruger 1022, Ruger Mark IV, Glock 26, Benelli Supernova 12G. Pics to come. Welcome from the northside of Chicago. Most of the Illinois action is happening on our Facebook page so please join us there if you use facebook. We should have a meetup scheduled hopefully for February in the coming weeks hopefully we will see you there. A belated 'Welcome' from Las Vegas Nevada. Hey, can i get a link? How do you like that Ruger GSR? What optic are you using?